NHL News : Toronto Maple Leafs' star Mitch Marner has a new nickname. Toronto Maple Leafs' star Mitch Marner has a new nickname. Young Leaf gets a new nickname. The Toronto Maple Leafs are having a little bit of fun during their preseason games. 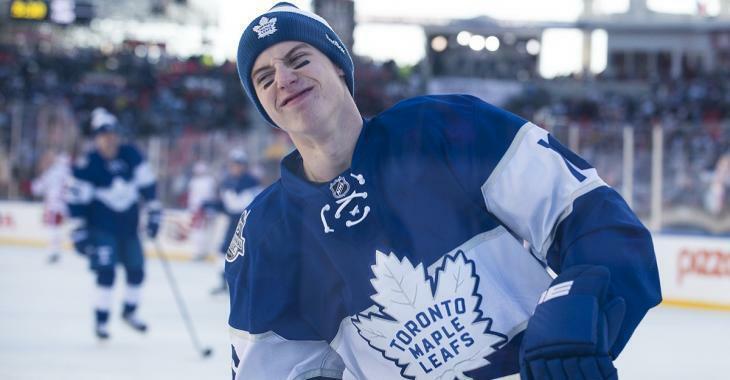 On Tuesday night James Mirtle of The Athletic heard something curious as the Leafs came out for their warm-ups, stating that the Leafs appeared to be calling teammate Mitchell Marner "mouse" while they were out on the ice. While Mirtle initially appeared to believe that this was in reference to the movie The Matrix, but it turns out that it's actually an old nickname making a resurgence. According to Mirtle, Marner's nickname when he was a kid was in fact "Mickey Mouse" and apparently it has now also become his new nickname with the Maple Leafs. Sure to strike fear in the hearts of his opponents.